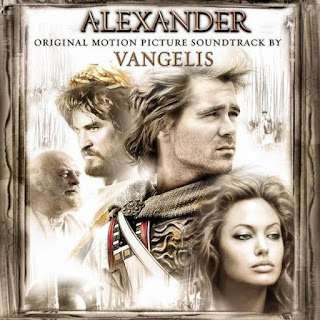 Vangelis’ most high-profile film score since the 1992 Conquest of Paradise, Alexander is a reminder of the master’s ability to conjure up astonishing music. It is also possibly the only positive note to come out of the disastrous movie, one of director Oliver Stone’s career nadirs. Whether Vangelis’ music works in the movie or not is beside the point – this is brilliant music on its own, and after the debacle of the movie, I think it’s best to appreciate the music as a standalone album. 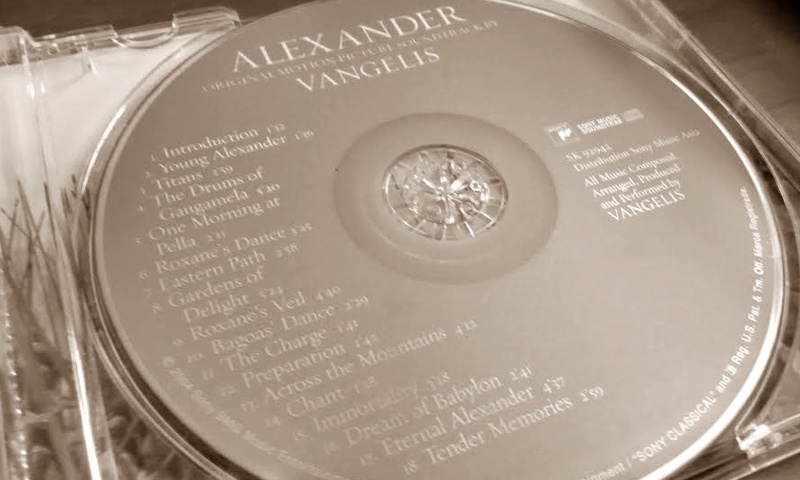 Featuring eighteen tracks from quieter pieces like ‘One Morning at Pella’ and ‘Tender Memories’ to middle-eastern influenced rhythmic music such as ‘Roxanne’s Dance’ and ‘Gardens of Delight’, the score also sees Vangelis attempting what could be his first full-fledged orchestral score, with accompanying electronic music. The result is an album of grandeur and heroic if sometimes melancholic music. It’s a pity this got passed by the Oscars. ‘Titans’ – The main theme starts off with some choral work, before brass instruments come into play. It builds up into a full orchestra with choir and drums. 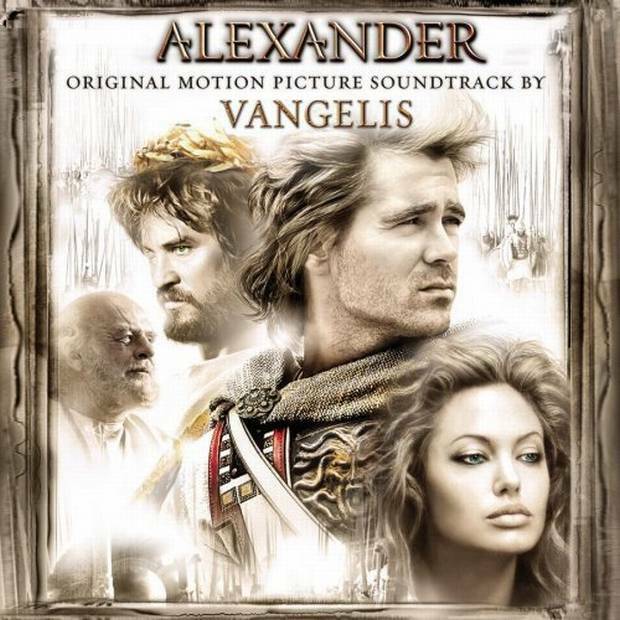 This is one of Vangelis’ most highly-charged works – full of vitality, and bursting with feelings of courage and heroism. ‘The Drums of Gaugamela’ – I think this is my favourite track. Starts ominously as if a battle cry for war, it builds into a concoction of drums, percussion, and brass instruments. It is a journey into war, the bloodshed, the sacrifices, and the glories. Vangelis captures all of these so brilliantly in this action-packed track. ‘Roxanne’s Veil’ – Performed by the outstanding Vanessa Mae on violin, and accompanied by Vangelis’ electronical arrangements, this is a very beautiful track, almost an anomaly in the score because it feels so different from the tracks preceding and after it. ‘Across the Mountains’ – Together with ‘Eternal Alexander’, this track is arguably Vangelis at his most classical and purely orchestral. The music suggests a conqueror’s long journey, across the mountains, and across the vast lands, in search of conquest in the hopes of achieving divinity.